When you hear about diet benefits, the first thing that pops up on your mind is the weight loss. But you, probably, don`t think only in result weight (gaining or losing) when they make a diet plan. You want to gain health, to improve your life. There are different types of diet, and each one has a different purpose. However, in this article, I am going to talk about the benefits of ketogenic diets. The Ketogenic Diet is focused on a low intake of carbs and a high intake of fats and proteins. The name Ketogenic is given because this diet make your body enters in a state of Ketosis. Ketosis is a metabolic state, and it occurs when the body does not have glycogen (which is sugar), and it needs another source of fuel to keep working. So, the liver will start processing fat into ketones, and those will become the new fuel source for our body. That is the reason why you don`t eat carbs in a keto diet and only eat fats. The first benefit of the keto diet is the weight loss which is one of the main reason why people start a diet plan (ketogenic or not). Keto diet enables losing weight because when the body is in ketosis the insulin and sugar levels in the blood drops. That makes fat cells release water, and the person will start losing weight. And when the cells become smaller, they will be able to fit in the bloodstream and go to the liver where they will be processed into ketones which are going to be the new fuel source of the body. Your body will start burning fat because it needs a fuel source, especially if the intake of calories is low. 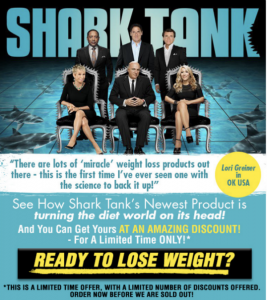 This is a natural way no obtain weight reduction, and there are no side effects for doing this. The second benefit of ketogenic diet is the anti-aging effect that it has because it reduces the insulin levels will reduce the oxidative stress. The intake of carbohydrates is linked with faster aging but with a keto diet plan people will not eat carbs, and they will have better health which translates into better aging. Another theory that proves the benefits of keto diet in aging is the mitochondria impact on energy production because that part of the cells works better when the body is under fasting work, and that is one of the effects of keto diets. That means that keto diets will improve the mitochondrial health and biogenesis which will have an anti-aging effect. The third benefit is the reduction of the appetite, and this is good because of the major problems associated with a diet is hunger and it is one of the reasons that makes people quit a diet. Some studies support that reducing and cutting the intake of carbs reduce the appetite of the person. Keto diets also help with stomach troubles like gas or cramps which can make you feel uncomfortable. The fourth benefit is the ability to protect against type 2 diabetes. Studies have found that the reduction in the intake of carbs and the use of ketones as a fuel source of the body will reduce the blood sugar levels. That means that the patient will not need to use exogenous insulin to keep their blood sugar levels normal even if the insulin levels in the blood are reduced by the change in the diet. The fifth benefit is the improved mental focus. Keto diet allows you to have a better mental focus because you will stop eating carbs. The problem with carbs is that they produce a constant variation in the blood sugar levels and that makes it harder for the brain to stay focused for extended periods. 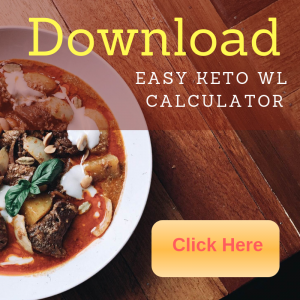 Keto diet also improves the clarity of thought, improve learning and memory recall. There is a study that found that the heart and the brain work 25% more efficiently under this type of diet where the ketones are the fuel source. The sixth benefit is the ability to control type 1 diabetes as it can control or eliminate type 2 diabetes. There is a case where the change to a ketogenic diet allowed the patient to reverse the autoimmune process that destroys pancreatic beta cell function. That means that keto diet could be a treatment for that type of diabetes. However, there is not enough documentation about it, and if you have type 1 diabetes, you should consult it with your doctor because the diet can help you but may not be the only treatment that you need. The seventh benefit is improving blood pressure. This is an important benefit because high blood pressure is one the main cause of deaths (12.8% of all deaths). There is a study that found that low carbs diets have an impact in the body mass, LDL cholesterol, triglycerides and it can reduce the diastolic pressure by 2.93%. However, that does not mean that you can throw away the blood pressure medication and stay with a keto diet. You should use keto diet to help and improve your health but make sure to consult it with your doctor. The eighth benefit is a cleaner skin because the keto diet reduces the inflammation in the body. The inflammation has different effects in our body including the brain, thyroid, kidneys, liver, bones, and skin. The problems that inflammation causes in the liver and kidneys produce acne, dermatitis, wrinkles, and other skin issues. The ninth benefit is having more energy because when you are under ketosis, the fuel source of the body is more durable because the body fat turns into fuel and you will never feel tired during the day or if you don`t eat for a while because the hunger is reduced under keto diet. If you have a higher intake of carbs in your diet, then your body will store a certain amount of glycogen, and when it runs out of it, you will start to feel tired. The last benefit is the prevention of cancer and helps cancer patients. When you eat carbs, they will transform into glucose in your body. You can prevent that disease using keto diet because cancer cells need glucose to survive and if you don`t eat carbs, you will have a lower amount of glucose in your bloodstream. You can fight cancer using keto diet because cancer cells need glucose to survive and also because this diet lowers the levels of insulin which is a growth factor (IGF-1) for cancer cells. That means that keto diet is one of the best diets for cancer patients and help to prevent it. 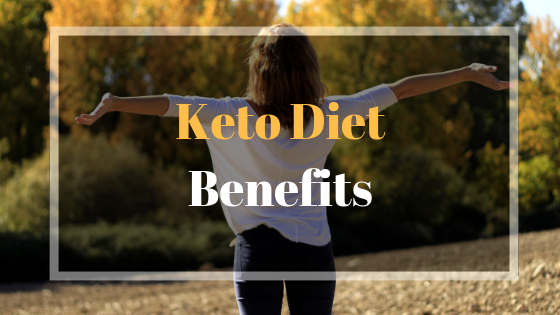 In summary, there are plenty of benefits about doing keto diet, and those are not only related to weight loss. There is all kind of benefits including the reduced risk of chronic disease, help infertility issues, and many others. If you want to know about more benefits of ketogenic diet feel free to do your research and you will find a lot of information online. You can consult it with your doctor to have a professional opinion and have a meal plan and any other recommendation.